After just a two-year stay, Fox4 general assignment reporter Diana Zoga has parted ways with the station after the two sides apparently couldn’t agree on a new contract. 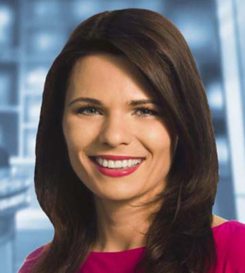 A New York-based Fox4 spokesperson confirmed Zoga’s departure Monday morning after the industry trade site ftvlive.com reported her exit earlier the same day. Her last day was Sunday, March 19th. Zoga, who joined the Dallas-based station in March 2015, left behind an email to staffers, part of which was posted by ftvlive. Zoga so far has not returned a message asking for comment. The 1999 Plano East Senior High school graduate arrived back in North Texas from KMOV-TV in St. Louis, where she had spent seven years. She also is a graduate of the University of Texas.